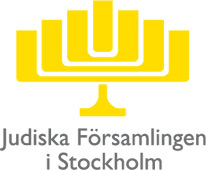 The Association of Holocaust Survivors in Sweden is a nationwide organisation that was founded in 1992 as a reaction to denial of the Holocaust. The membership comprises survivors of Nazi persecution, as well as their children. The core activity of the Association focuses on education in schools. The members, many of whom are living witnesses to the horrors of the Holocaust, work to explain how the history of anti-Semitism and racism resulted in the mass murder of Jews, Gypsies and other minorities during the Second World War. Meetings conclude with questions and a general discussion about racism, neo-Nazism and xenophobia today. The Association has erected a Holocaust Monument, in co-operation with the Jewish Community of Stockholm. The memorial honours the names of 8,000 victims whose relatives survived the war and came to live in Sweden. The monument also states the date and place of birth of each individual, as well as when and where they died. 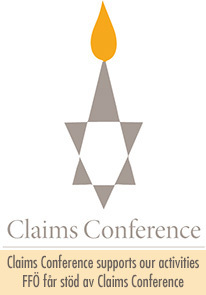 The Association has produced videoed interviews with survivors. In addition to this, the Association has also helped to compile textbooks and teacher’s guides. During the last two years, the Association has supported and assisted survivors with restitution applications. Join us in our struggle against denial of the Holocaust, anti-Semitism, neo-Nazism, intolerance and racism! The Swedish Association of Holocaust Survivors is a nation-wide organisation of people having personal experience of nazi persecution. It also includes some members of “Second Generation”. 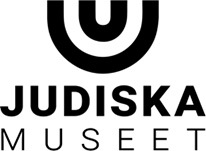 This organisation was founded 1992, as a reaction against the denial of the Holocaust that here in Sweden has been spread mainly by the anti-Semitic “Radio Islam”. The number of members is 650, and we consider it our duty to keep alive the memory of the Holocaust, as a shield against neo-Nazism and anti-Semitism. We are always prepared to fight all sign of racism and xenophobia. The organisation is also working to protect the interest of the members in our society. Some of the members lectures about the Holocaust at schools, churches and various organisations, and we are constantly training people for this task. During our meetings with the youngsters at schools, we try to examine their attitude to neo-Nazism and racism. We have also produced video-films, with interviews of survivors which are shown at schools, provided with special documentation. We have also, in corporation with the Jewish community of Stockholm and the City of Stockholm, erected a memorial of Holocaust victims, relatives of Swedish Survivors, who perished in the Holocaust. This memorial in a form of a wall, located in the yard of the Synagogue has 8,000 names on it. The famous artist Sivert Lindblom and architect Gabriel Herdevall have created the monument. The names give us information about the date and place of birth, as well as the death camp where these victims were exterminated. There are names of small children, as well as elderly people, from all parts of Europe, from all countries that have suffered from the Nazi-occupation. It is a powerful witness to the Holocaust providing a link to the tragic past, and a place for contemplation for Survivors and their families. 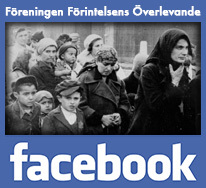 It is also a reminder to the Swedish public and brings about reflection of the horror inflicted on the Jewish people. In connection to the Monument, we have edited a book in 2,000 copies, “Glöm oss inte,” – ”Forget us not” – with a short summary in English. This book contains a list of all the names on the wall, with the number of the table where the name can be found. In the book are also articles of various famous writers, such as Elie Wiesel and Primo Levi. The organisation is in close contact with “Living History” project of the Swedish Government on Holocaust, and also follows up the use of the book “Tell ye your children” in schools. We are also prepared for further co-operation with the Government, regarding the planning of a Museum, Education and Information Centre of Holocaust in Sweden, and in planning of the Day of Remembrance for the Holocaust Victims, which will be permanent from year 2001.